So this year I am only doing Blogmas up until tonight because tomorrow I have work all day and I figured, is anyone really going to want to read blog posts on Christmas Eve? I thought this post would be a lovely one to end Blogmas on, to maybe give you some inspiration for eye makeup on Christmas Day. You can wear these to work if you are unlucky like me and have to work tomorrow, or even Christmas Day! To create all of these eyeshadow looks I used a range of different palettes, of course I used the Morphe X Jaclyn Hill palette, my Too Faced Chocolate Bar palette and the Nyx Brights Palette. I don’t know why I always decide to do eyeshadow looks when I need my eyebrows threaded so bad, so annoying but just don’t judge ya girl has been hard at work. I used a red shade all over my lid, then used a metallic green colour on top of my lid and used the matte green version of the metallic in the outer corners. I put some gold in my inner corner and red under my eyes along my lash line. I really like this look, I think it is a nice subtle christmasy look and the eye look that I have been wearing most throughout December. I like the little element of Christmas but it isn’t too much, it’s an everyday eye look that you can wear anywhere. If you feel like your not adventurous with eyeshadow but want to start getting in to I more. 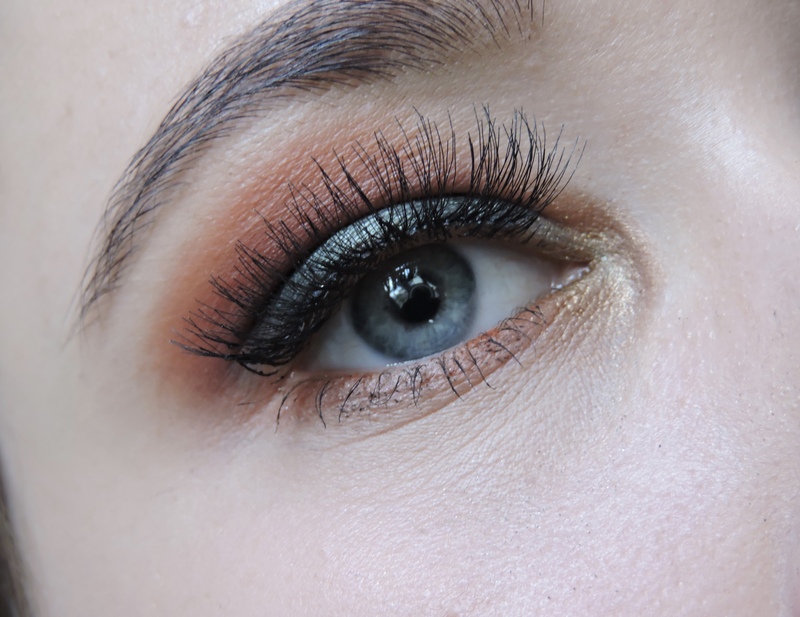 This eye look would be great for you. 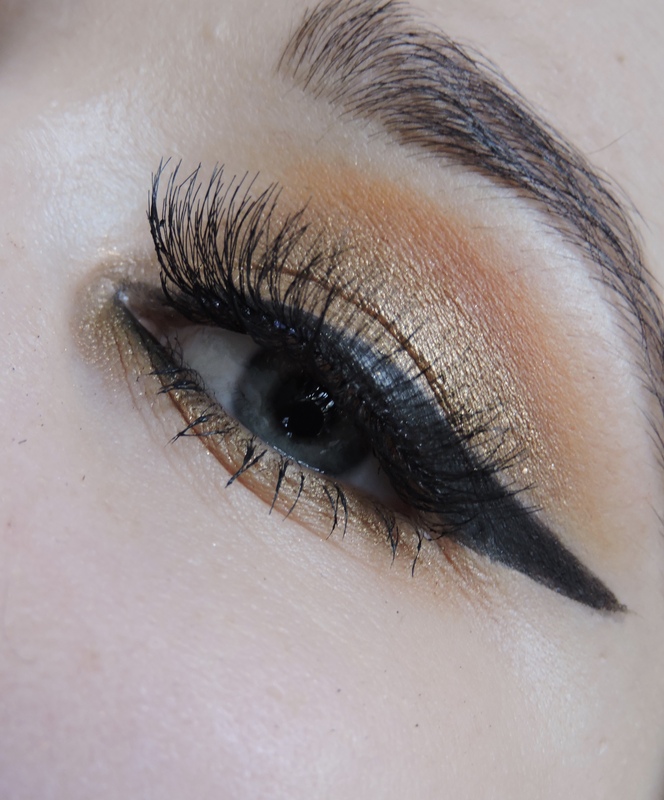 I think this eye look is so so pretty and it would look lovely with every eye colour. I used a yellow shade on my outer corner and then placed a gold all over my lid, then I did a heavy winged liner and put gold in my inner corner and on my lash line. This one is so different to anything I would normally wear on my eyes. I don’t really like to wear winged eyeliner a lot because it makes my eyes look really small. I love the gold though, it is such a stunning colour and so christmasy. I love the yellow and then the blend into the gold. 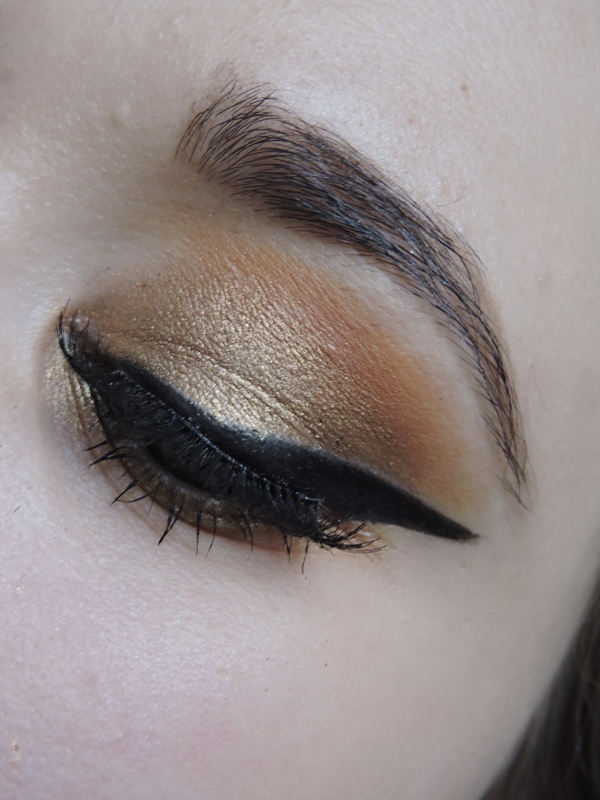 This eye look is really out there and I think it is because you don’t really see a lot of people wearing gold/yellow eyeshadow. People will for sure notice your eyeshadow! You could do the same with a glittery silver and a nice wing. 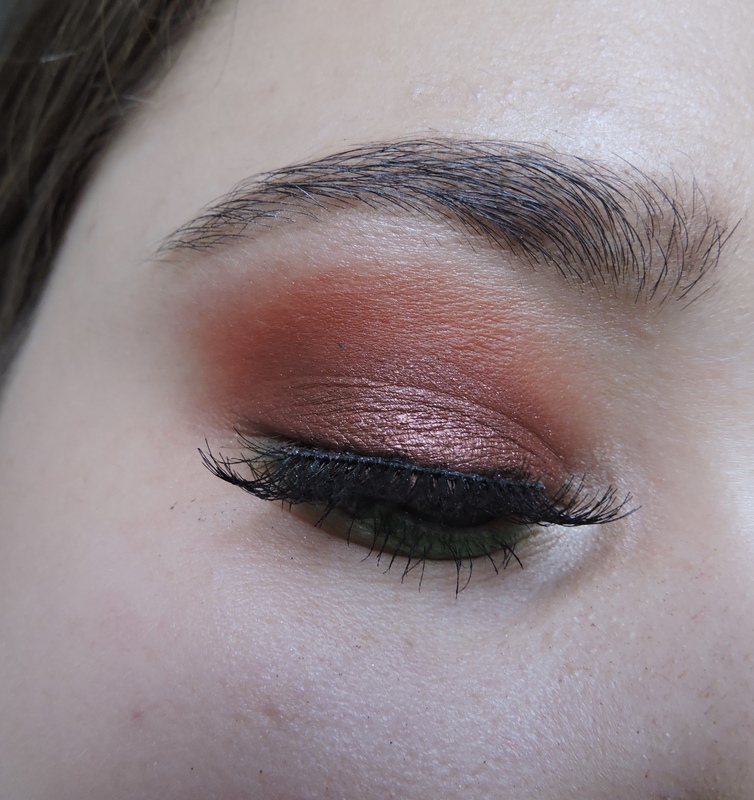 I have used a red and a Burgundy colour all over my lid and then placed a cranberry colour all over the lid and blended green on my lash line. 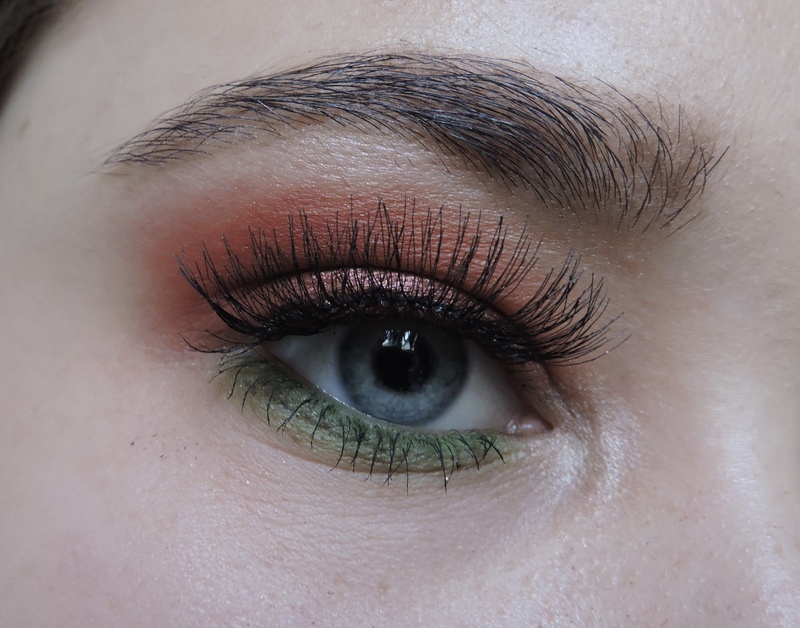 I love this look, I think It is the pop of green under the lash line that catches my eyes. 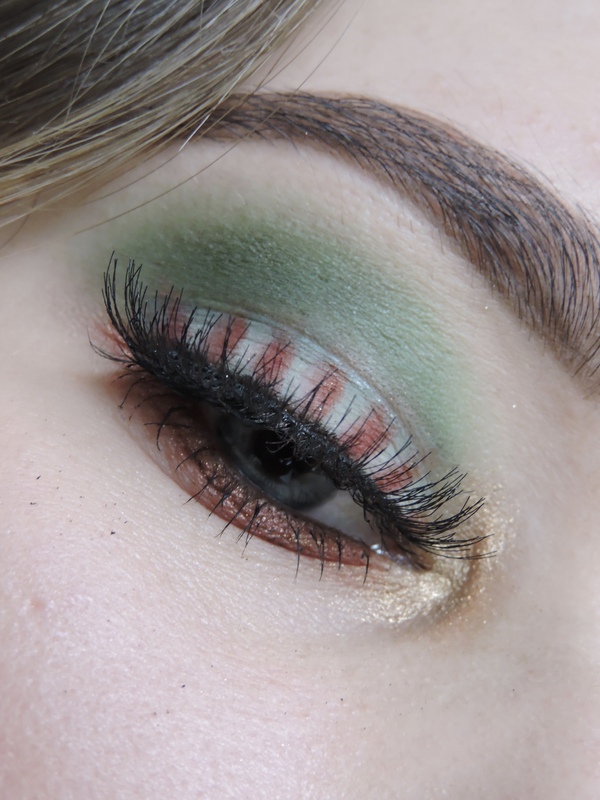 I like that it is a really nice eye look with the cranberry colour and a bit of sparkle, then you get the pop of green. I think it is really stunning and such a wearable eye look. I used a green all over my lid and then did candy cane strips on my lid and then ran over my lash line with the same red and also a red glittery shadow and a gold glittery shadow. Finally placed the same gold in my inner corners. 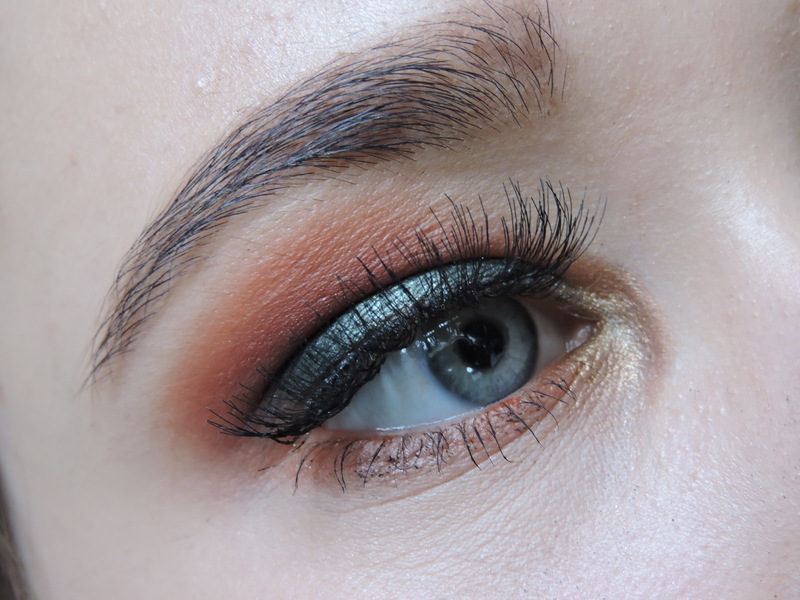 I love love love this eyeshadow look, I feel so creative it looks so fun! it turned out so better than I thought it would. This one is very out there, probably one that I will wear to work tomorrow or wear on Christmas Day. I love it and I love how adventurous it is. You would definitely get compliments on your eyeshadow because it is so cool. It didn’t actually take that long to do, the only advice I would give is used a small brush to do the white and red stripes you don’t want them too thick. I love this whole look as a whole, I think it is fab! Which one was your favourite eye look? which one are you most likely to wear? And that is it guys!!! they are my 4 Christmas eyeshadow looks! Thank you to everyone who has kept up with my Blogmas posts and thank you for all of the continuous support! I hope you liked the post and HAVE AN AMAZING CHRISTMAS and an awesome New Year! oh wow I love these looks!! Thank you!! they are my go to lashes!